During her I-ARE residency at the Dance Complex, karen Krolak (Artistic Director & co-founder of Monkeyhouse) delves into the daunting terrain of illustrating entries in her Dictionary of Negative Space. Inspired by the car accident that killed her mother, father, and older brother in 2012, the Dictionary of Negative Space examines the lacy spaces within the English language, the vast chasms of unnamed ideas related to mourning, trauma, and repair. Krolak will curate an interdisciplinary concert of discussing, digressing, and dancing about loss by collaborating with choreographers, poets, storytellers, and visual artists. 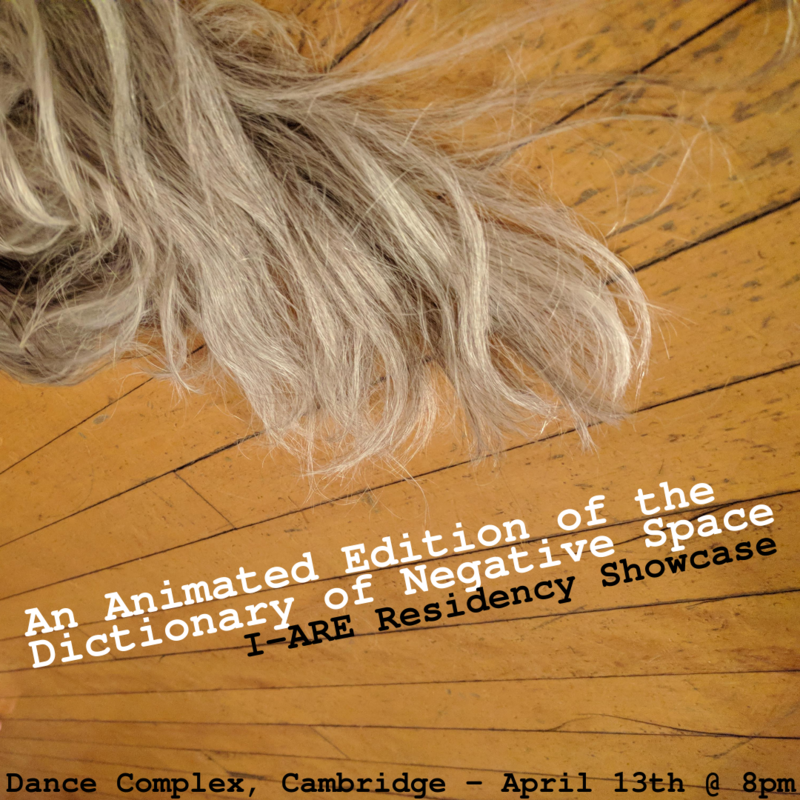 Other iterations of the Dictionary of Negative Space have been presented at Onstage Dance, Malden, MA; Sierra Nevada College, Incline Village, NV; Kelwood Contemporary Art, Baton Rouge, LA; Boston University Center for the Humanities, Boston, MA; and the CICA Museum, Gimpo, Korea.